Técnico and Santander shared their partnership’s accomplishments during the event “The future is now”. The event “The future is now” took place this Thursday, November 8, at Salão Nobre. The support provided by Santander to Técnico students as well the stimulation to creativity and proactivity, the valorisation of merit and the investment in students talent was highlighted during the session. 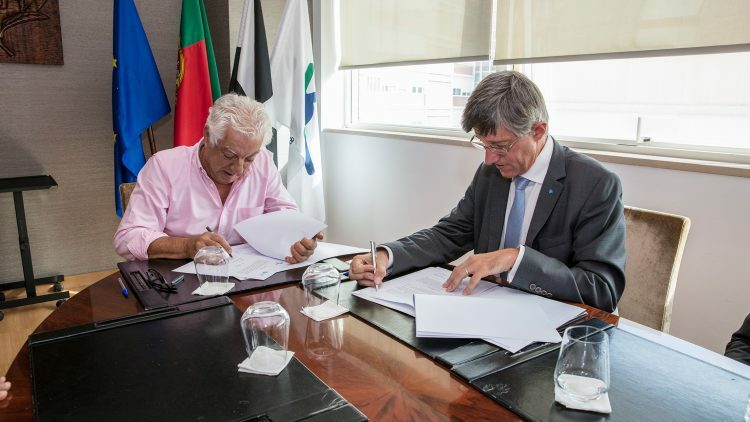 The president of Técnico, professor Arlindo Oliveira, attended the session and stressed the importance of “this long and strategic partnership” between the two entities. He also thanked Santander Universities’ commitment to higher education, in particular to Técnico. Professor Arlindo Oliveira pointed out that will and the ability of Técnico students in developing new projects is what makes the difference and that it is very important to support students during their training process. “Técnico welcomes between 12 and 20 professors and assistant researchers every year”, said professror Miguel Ayala Botto, Vice-president of the Scientific Council, who presented Start-up Funds@Técnico that aims to support the experimental period of these professors and assistant researchers by promoting their academic and scientific independence and evolution. “These scholarships aim to promote the professional growth of our staff”, said professor Miguel Ayala Botto. Professor Marta Fajardo and professor Miguel Matos won these scholarships and they both stressed the importance of this support at an early stage in their careers, which allowed them to pursue new paths and reinforce their ambitions. “This support allowed me to make an investment that I wouldn’t do with the money from the project”, said professor Marta Fajardo. “This programme doesn’t exist in any other Portuguese university and this really makes the difference and improves the quality of Técnico faculty”, says professor Miguel Matos. The Start-up Funds@Técnico have already supported 52 professors since 2015. The support of Santander under the Babson Build Program allowed professor Miguel Amaral to travel to Boston and spend a period of time in one of the top entrepreneurship schools in the world: the Babson College. The program allowed the exchange of knowledge among professors, incubators and university directors. “Networking was very important. I met colleagues from different countries and I realised that they are doing fabulous things at a large scale”, he said. According to professor Miguel Amaral, this was “an extremely enriching” experience. “Babson’s motto is to eliminate the boundaries between classroom and ecosystem, and I think this program makes it much more easier”. Three Técnico students who attended the European Innovation Academy (EIA), Tiago Antunes, Sofia Lança and Manuel Amaral, participated in a panel moderated by Jonnhy Cartucho, EIA Program Manager, to share experiences and benefits regarding their participation in the European Innovation Academy. 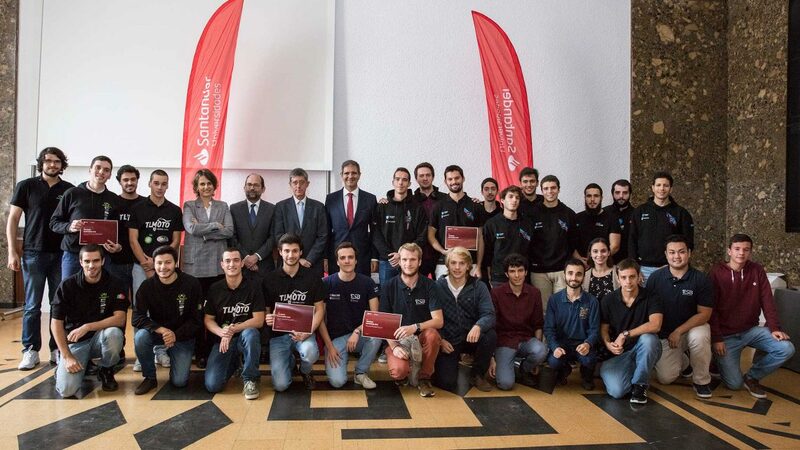 The E. Awards@Técnico, a support provided by Santander that aims to reward the best projects developed in entrepreneurship curricular unit were presented on this occasion. 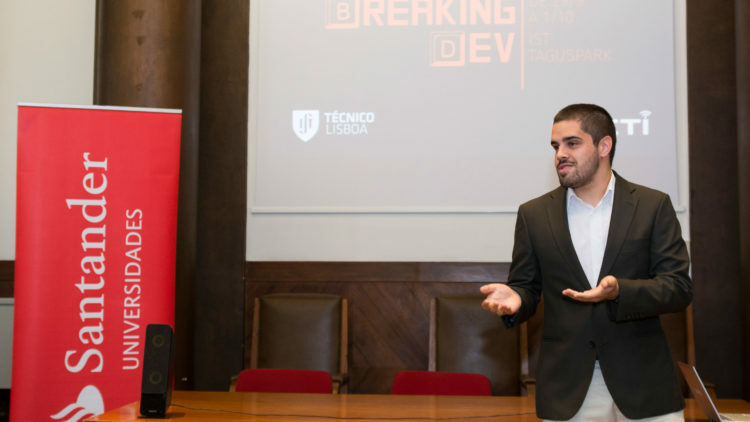 Professor Luís Caldas de Oliveira stressed that “entrepreneurial skills are increasingly important in your professional life”. Afonso Amaral, MSc final year student in Civil Engineering and João Araújo, MSc final year student in Mechanical Engineering, received the Técnico Business Cards from Inês Oom, Board member at Santander Portugal, who explained the importance of the partnership between Santander and Técnico, as well as its relevance: “We believe that knowledge is the best tool to face the future. This partnership proves that investing on higher education is worthwhile”. Inês Oom also reiterated Santander’s commitment to “continue helping Técnico students”. The support provided by Santander to the student groups was also highlighted during the session. 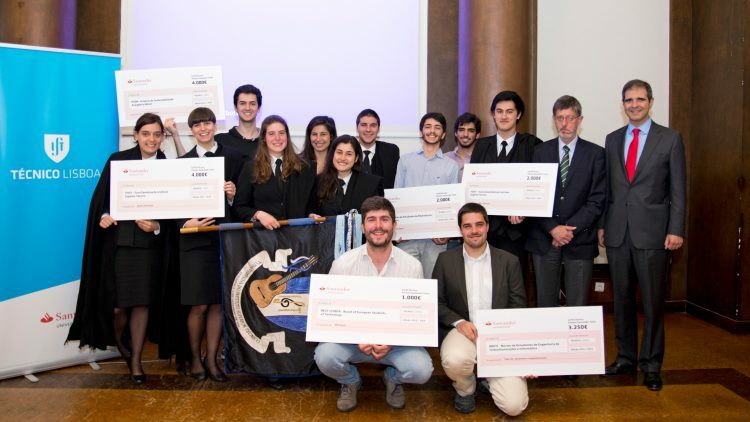 The winners of CA2ECTécnico 2018 – Santander Universities Award and TecInnov Santander 2018 presented their projects and received the awards.